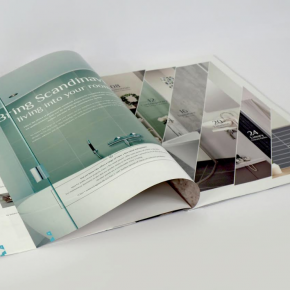 This latest green initiative by one of the UK’s leading window, door and curtain walling fabricators and installers, will further reduce its environmental impact, as part of a broad strategy designed to continuously improve operational efficiency with lowered CO2 emissions and waste. The success of this approach was showcased by recent figures that demonstrated CMS Window Systems diverted 100% of its waste away from landfill in the 2017-18 financial year, and now the reduction of vehicle emissions is in the spotlight. The Queen’s Award for Enterprise winner in 2017, for its environmental achievements, has installed the infrastructure for electric and plug-in hybrid vehicles at both its sites at Cumbernauld near Glasgow and in Kirkcaldy, Fife. 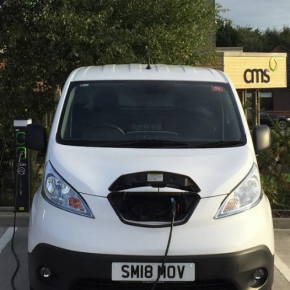 The charging points will guarantee the new 100% electric vans can be kept charged and operational, as well as offering staff and visitors who drive plug-in electric vehicles access to fast recharging when they are on-site at CMS. 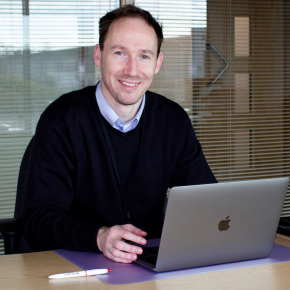 David Ritchie, CEO of CMS Window Systems, commented: “Environmental sustainability is at the heart of everything we do, but we never stop looking at new ways to utilise the latest technology to improve the way we operate. “Our investment in new electric vehicles is a perfect example of this strategy in action, now that this emerging green technology is developing into a practical solution. “Every year our diesel and petrol powered fleet covers thousands of miles serving customers across the UK, so it is important that we look to switch to electric power for many of the shorter journeys.